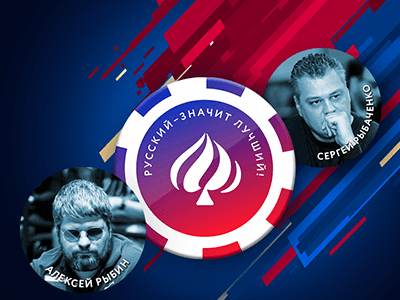 PokerDom is the first and biggest Russian online poker room. 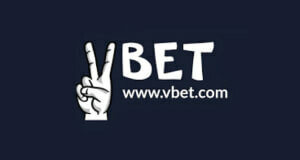 It was founded in 2014 by Pomadorro N.V., one of the leading online gaming companies in Russia. 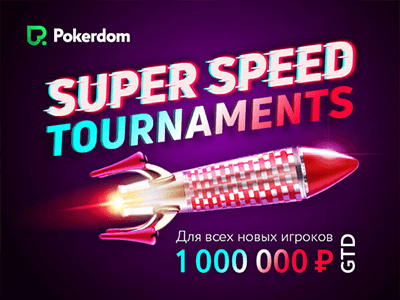 Although it is a relatively new online poker site PokerDom has already grown a huge Russian player base and became the biggest poker site in one of the largest online poker markets in the world. PokerDom offers a wide variety of cash games as well as large, guaranteed prize pools in their weekly tournaments. 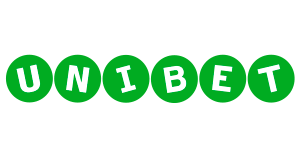 Furthermore they are the official partner of the Belarussian Poker Tour, the biggest live tournament series in Eastern Europe. 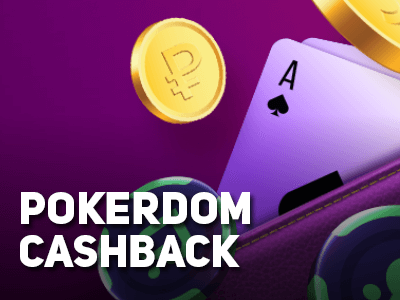 Together with our top-notch rakeback deal, which gives you up to a staggering 40% rakeback and massive promotions PokerDom is a great pick for anyone looking for a reliable and highly profitable online poker room. Below you can find an overview of current and available offers at PokerDom. Our team consisting of professional poker players and online poker experts has been playing a lot of online poker at PokerDom and we can say that we had a great experience. 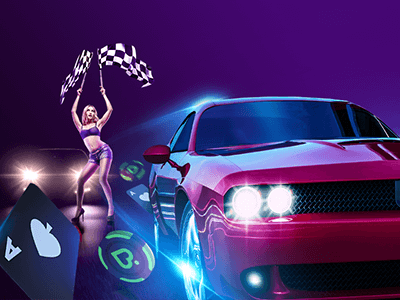 Not only the customer support and live chat are very friendly and helpful, but also our industry leading rakeback deal, huge promotions and fast withdrawals make playing at PokerDom highly enjoyable. We encourage you to CONTACT OUR SUPPORT in case you have any questions or look for a custom deal. And please feel free to leave a comment in our User Reviews section to let us know about your experience while playing at PokerDom! How to open an Account at PokerDom? 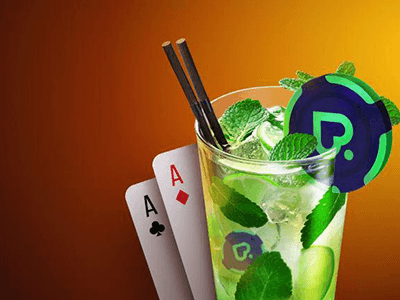 Opening an account at PokerDom is very easy. Simply follow our step-by-step registration guide and your poker account will be ready in only a couple of minutes. Once you have registered your PokerDom account, you will have to make a deposit in order to play. Click on the “Cashier” button in your poker client and pick your preferred payment option. Now you are all set to enjoy your favorite online poker games at PokerDom. PokerDom offers some of the best and highest-value promotions in the poker industry. You will not only receive a top-notch rakeback deal of up to 40%. but also benefit from special reload bonuses and huge private rake races. 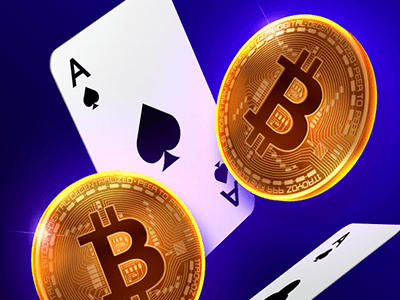 PokerDom has its own software created by Connective Games. The software and lobby are very clear, functional and easy to navigate. CHECK A DETAILED REVIEW ON POKERDOMS’S TRAFFIC, SOFTWARE AND AVAILABLE GAMES HERE. One of the best things is that you can play online poker at PokerDom anytime, anywhere! The mobile poker client is available for Android and iOs and therefore runs on all mobile devices. Simply DOWNLOAD THE POKERDOM MOBILE APP and enjoy playing online poker on your iPhone, iPad and Android from everywhere! PokerDom offers a nice variety of cash games and tournaments on their mobile poker client. All you have to do is to select your favorite games and start playing! The PokerDom Mobile App is available for all Android and iOS devices and both apps can be downloaded directly on the POKERDOM WEBSITE . 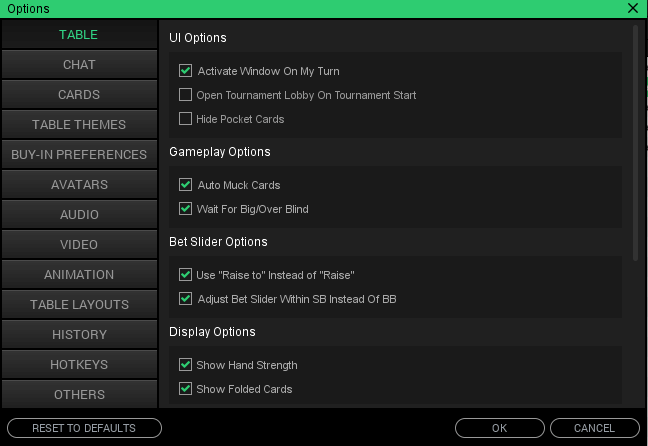 To download the PokerDom Mobile App simply click on the black and green button and install the Poker Mobile App. There might be other mobile poker Apps for PokerDom but they might not be reliable and safe. We therefore highly recommend using only the official PokerDom Mobile App. PokerDom offers a wide variety of payment options to ensure you can get your poker funds on and off the site with only a few clicks. Available payment options at PokerDom include VISA, Mastercard, Skrill, Neteller, Webmoney, liqpay.com as well as a huge variety of Russian payment processors. 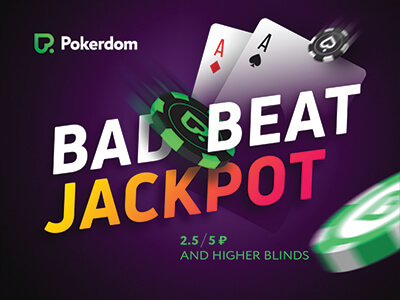 Although PokerDom is a relatively young online poker room, they have already established a very good reputation for fast and reliable payments and cashouts. PokerDom is constantly striving to improve their customer support and live chat and will continue to do so. That being said, you should not expect any delays or problems when it comes to depositing or withdrawing money. PokerDom is eligible in the following countries: Afghanistan, Åland Islands, Albania, Algeria, American Samoa, Andorra, Angola, Anguilla, Antarctica, Antigua And Barbuda, Argentina, Armenia, Aruba, Ascension, Australia, Austria, Azerbaijan, Bahamas, Bahrain, Bangladesh, Barbados, Belarus, Belgium, Belize, Benin, Bermuda, Bhutan, Bolivia, Bosnia And Herzegovina, Botswana, Bouvet Island, Brazil, British Indian Ocean Territory, Brunei Darussalam, Bulgaria, Burkina Faso, Burundi, Cambodia, Cameroon, Canada, Canary Islands, Cape Verde, Cayman Islands, Central African Republic, Chad, Chile, China, Christmas Island, Cocos (keeling) Islands, Colombia, Comoros, Congo, Congo, Cook Islands, Costa Rica, CÃƒâ€te D’ivoire, Croatia, Cuba, Cyprus, Czech Republic, Denmark, Diego Garcia, Djibouti, Dominica, Dominican Republic, Ecuador, Egypt, El Salvador, Equatorial Guinea, Eritrea, Estonia, Ethiopia, European Union, Falkland Islands, Faroe Islands, Fiji, Finland, French, Guiana, French Polynesia, French Southern Territories, Gabon, Gambia, Georgia, Germany, Ghana, Gibraltar, Greece, Greenland, Grenada, Guadeloupe, Guam, Guatemala, Guernsey, Guinea, Guinea-bissau, Guyana, Haiti, Heard Island And Mcdonald Islands, Holy See (vatican City State), Honduras, Hong Kong, Hungary, Iceland, India, Indonesia, Iran, Iraq, Ireland, Isle Of Man, Israel, Jamaica, Japan, Jersey, Jordan, Kazakhstan, Kenya, Kiribati, Korea [KP], Korea [KR], Kosovo, Kuwait, Kyrgyzstan, Lao, Latvia, Lebanon, Lesotho, Liberia, Libyan Arab, Jamahiriya, Liechtenstein, Lithuania, Luxembourg, Macao, Macedonia, Madagascar, Malawi, Malaysia, Maldives, Mali, Malta, Marshall Islands, Martinique, Mauritania, Mauritius, Mayotte, Mexico, Micronesia, Moldova, Monaco, Mongolia, Montenegro, Montserrat, Morocco, Mozambique, Myanmar, Namibia, Nauru, Nepal, Netherlands, Netherlands Antilles, New Caledonia, New Zealand, Nicaragua, Niger, Nigeria, Niue, Norfolk Island, Northern Mariana Islands, Norway, Oman, Pakistan, Palau, Palestinian Territory, Occupied, Panama, Papua New Guinea, Paraguay, Peru, Philippines, Pitcairn, Poland, Portugal, Puerto Rico, Qatar, RÃƒâ€°union, Romania, Russian Federation, Rwanda, Saint Helena, Saint Kitts And Nevis, Saint Lucia, Saint Pierre And Miquelon, Saint Vincent And The Grenadines, Samoa, San Marino, Sao Tome And Principe, Saudi Arabia, SaudiÃ¢â‚¬â€œIraqi neutral zone, Senegal, Serbia, Seychelles, Sierra Leone, Singapore, Slovakia, Slovenia, Solomon Islands, Somalia, South Africa, South Georgia And The South Sandwich Islands, Soviet Union, Sri Lanka, Sudan, Suriname, Svalbard And Jan Mayen, Swaziland, Sweden, Switzerland, Syrian Arab Republic, Taiwan, Tajikistan, Tanzania, Thailand, Timor-leste, Togo, Tokelau, Tonga, Trinidad And Tobago, Tristan da Cunha, Tunisia, Turkey, Turkmenistan, Turks And Caicos Islands, Tuvalu, Uganda, United Arab Emirates, Uruguay, Uzbekistan, Vanuatu, Venezuela, Viet Nam, Virgin Islands, British, Virgin Islands, US, Wallis And Futuna, Western Sahara, Yemen, Zambia, Zimbabwe. 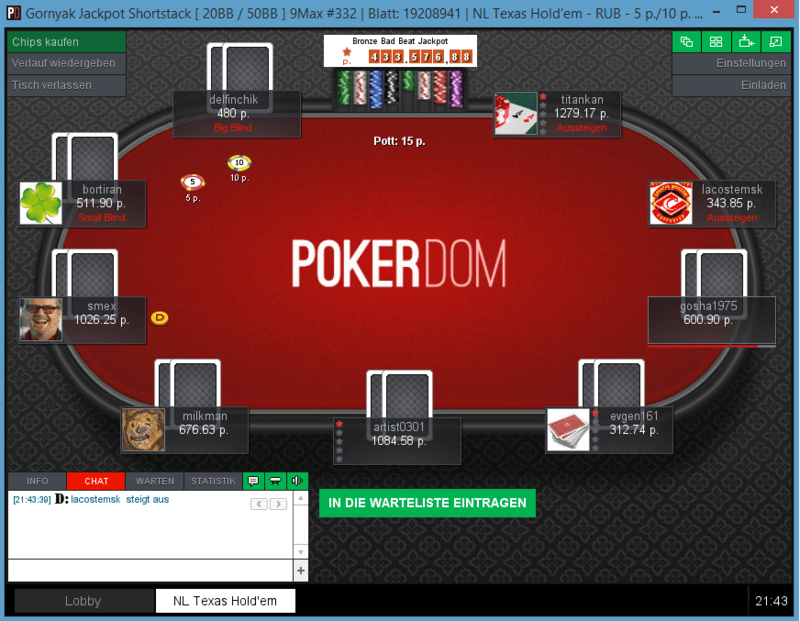 Pokerdom is the biggest Russian online poker room run by Pomadorro N.V.. 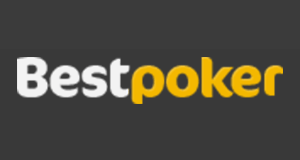 It was established in 2014 and has been taking the Eastern European poker markets by storm. Despite the fact that Pokerdom has only been operating for a few years, its popularity and traffic are skyrocketing. As mentioned, Pokerdom is growing rapidly and so is its traffic. Due to their focus on attracting amateur poker players makes the games extremely profitable. 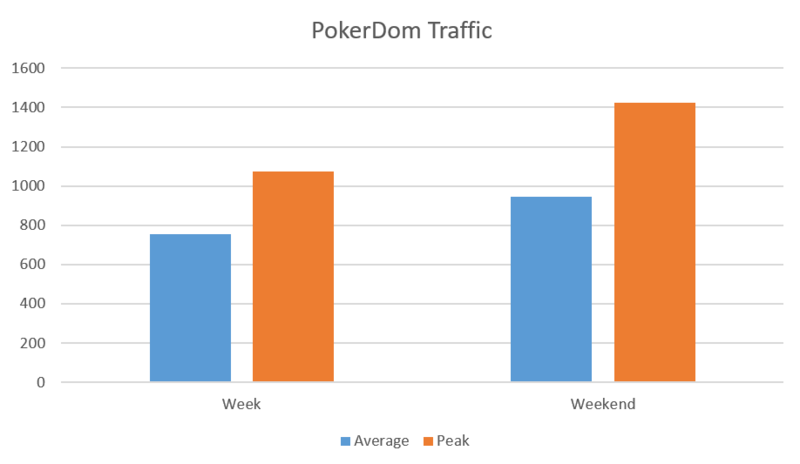 During the week the average traffic is at around 75 active players, it peaks in evenings in the Eastern European time zones and on the weekends when over 1500 players are sitting at the Pokerdom’s tables. Although most of the tables on Pokerdom run in Russian rubles, your account can be in Russian rubles, US Dollars or Euro. When you buy-in into a game, your funds are exchanged on the basis of the exchange rate at that moment. There is a wide variety of cash games you can choose from, including Hold’em, Omaha and Stud. Pokerdom has also recently added Chinese Poker and Hold’em 6+. Cash games are available all the way from NL4 to a staggering NL10000 but the highest games that run regularly are at NL200. 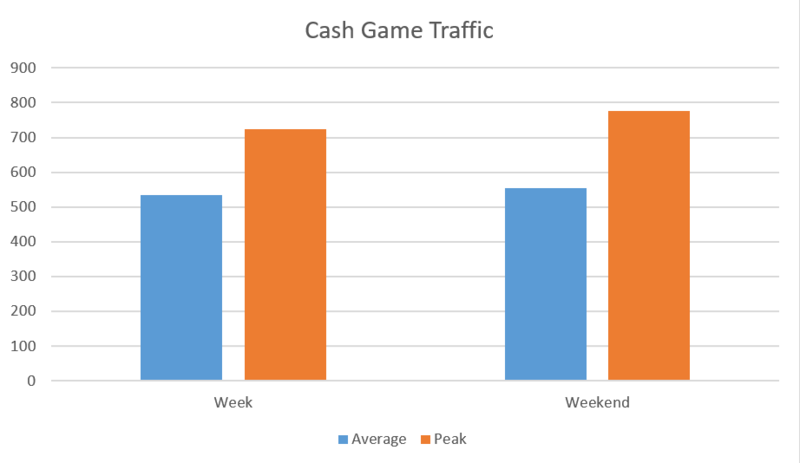 As you can see in the graph above, traffic is high and stable around the clock with an average of 300 active cash game players and peaks at approximately 400 players. No Limit Hold’em is a primary choice of the large portion of the player base on Pokerdom. So it comes to no surprise that the traffic is good at NLHE tables around the clock. Stakes range from NL4 to NL10000 with multiple NL200 tables being available at all times. There is over 200 players usually playing 6-max NLHE games on Pokerdom. Heads Up traffic is quite low but some micro stakes games do run. Pot Limit Omaha games on Pokerdom are available at stakes ranging from PLO4 to PLO10000. With an average of 20 tables running at all times, you should not have trouble getting a PLO session going. You can find regular PLO action all the way up to PLO200. Pokerdom offers a fast-fold variant of cash games as well. The format is called BOOST. As most of other fast-fold solutions, you will get dealt a new hand as soon as you fold. Pokerdom offers some great MTT action. There are tournaments with high guarantees running every day. 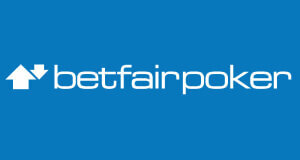 Their ever growing guaranteed prize pools attract thousands of players every day. 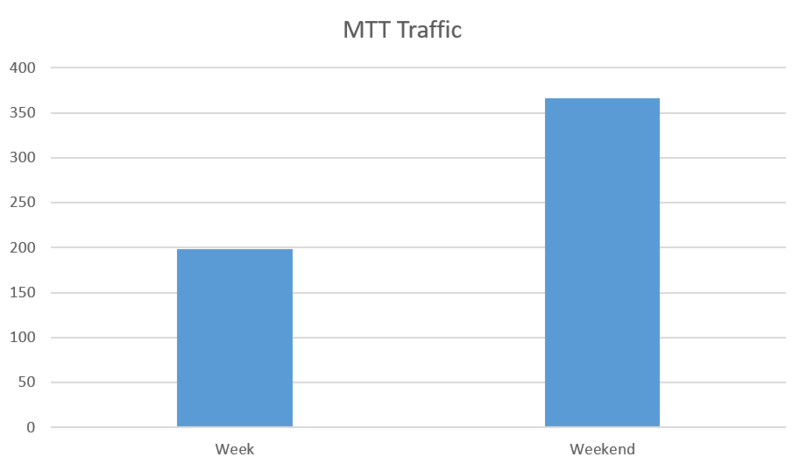 MTT traffic averages at approximately 200 players over the week and peaks at 400 active players on the weekends. There are multiple tournaments that run daily on Pokerdom. There are several smaller tournaments with guarantees of $500 USD or more running every hour of the day. Keep an eye on the biggest tournaments like the 75,000 RUB GTD Thursday Fives and the 60,000 RUB GTD Wednesday Fours. As with the most online poker rooms, the biggest tournaments on Pokerdom run on the weekends. The highlight of the weekend schedule are the 444,444 RUB GTD Sunday Main Event and the 200,000 RUB GTD Sunday Eights. Pokerdom runs its own tournament series with huge guarantees and soft fields. It is called the Global Cup of Online Poker (GCOOP). 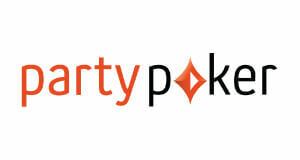 As an official partner of the Belarus Poker Tour series, Pokerdom also regularly offers satellites for the BPT events. There is decent micro stakes SNG traffic, particularly at HUSNGs. Pokerdom offers SNG buy-ins ranging from $0.25 to $5.000 but the highest that run regularly are at the $20 buy-in level. Traffic at Pokerdoms Sit & Goes averages at 40 active players and is stable around the clock. Headsup SNG’s are available at buy-ins ranging from $0.25 to $5.000 in their Regular, Turbo and Super Turbo variants. Usually only HU Hyper Sit & Goes are available at all above mentioned buy-in levels. The lottery SNG format at Pokedom is called windfall and it allows you to win up to a thousand times your buy-in and even more. 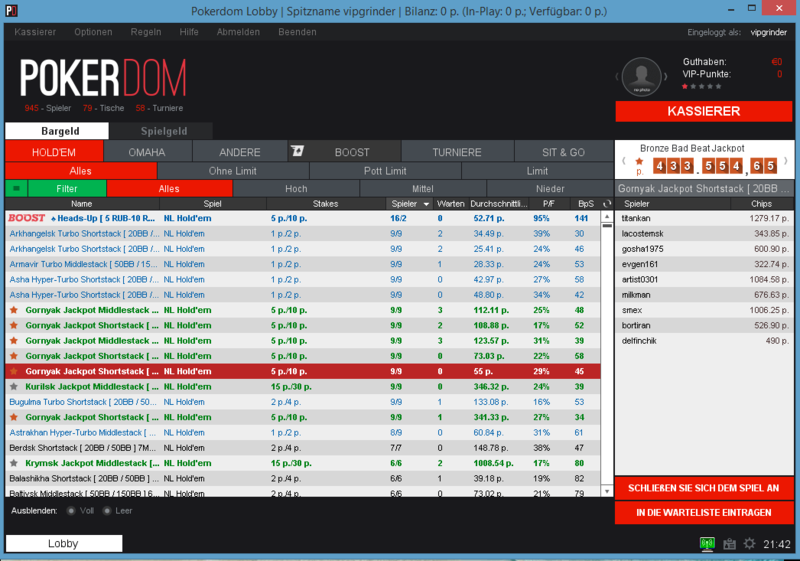 Pokerdom runs multiple freerolls a day. Those usualy have small and soft fields which makes them a great way to start a bankroll. New players can enjoy special Welcome Boost freerolls that run every day and offer loads of value to newcomers. 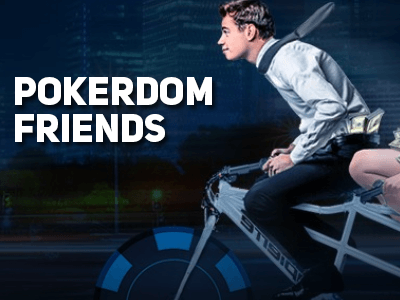 We currently don’t offer private freerolls on Pokerdom. 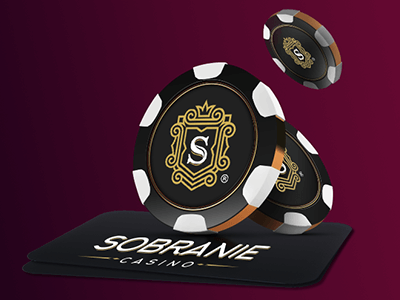 Pokerdom uses Connective Games software., which is very reliable and developed to fit the industry’s highest standards. 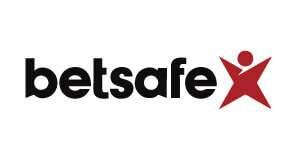 Their software is available on Windows, Mac, Android and iOS devices. Playing poker on the go was never this easy before. Simply download Pokerdoms Mobile App to your iOS or Android device and get access to your favorite poker games anywhere and anytime. Pokerdoms Client is being constantly developed and frequently updated. As such it gets better and better with time. 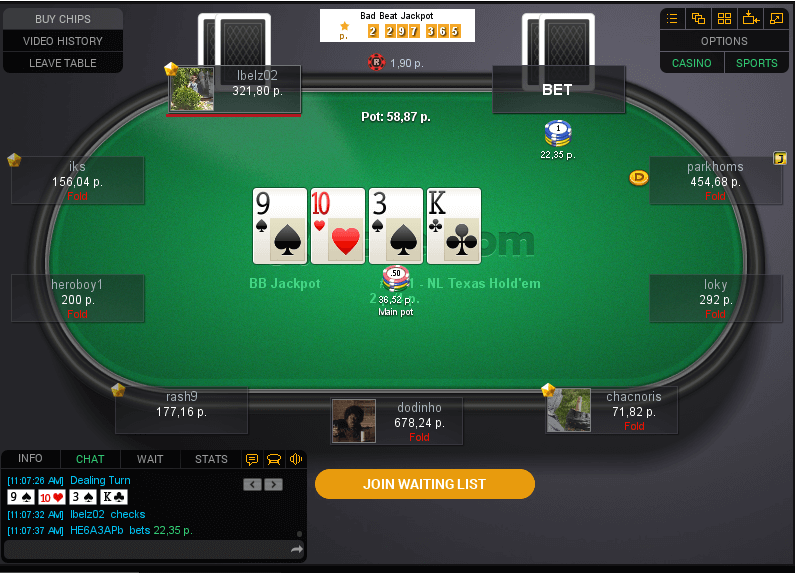 Using the advanced options that are available in the Pokerdom client, you can customize anything from the chat window to, cards and table appearance as well as your hotkeys and animations. Pokerdoms lobby is extremely easy to navigate and it gives you a lot of filtering options to pinpoint your favorite games. If the standard tabs not do the job helping you to find a game you’d like to play, simply use the advanced filter. The table design is simplistic and elegant while maintaining loads of customization options. Resizing, tileing and stacking tables can be done with a simple click of a button allowing you to focus on your game while the software manages your tables. Pokerdoms software is well suited to multitabling and there is no limit to how many cash game tables you can play. As mentioned above, the number of tables you can open and play at is not limited on Pokerdom. 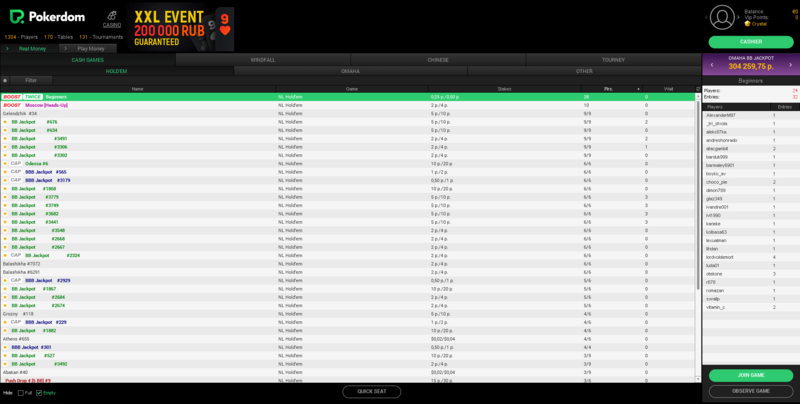 To view your hand histories, go to the Options tab of the Pokerdom client and click on game history. Holdem Manager and Pokertracker are not supported, but there are third party tools to get your HUD and tracking software up and running. Rake on all Pokerdom tables is 5%. From more information please refer to the tables below. Just like with cash game rake, MTT and SNG fees are fixed at 5% an Pokerdom which is extremely favorable considering most sites charge around 10% fees. You receive a staggering up to 40% rakeback calculated according to the weighted contributed method. The rakeback is paid out monthly directly to your poker account. The games are soft and cashouts are reliable. Pokerdom is a particularly good option for players looking for soft games, especially MTT grinders. And Eastern Europeans as they will enjoy decent traffic in their time zone and can play in Ruble. Still, this room is a great choice for all players due to its great rakeback, promotions and loose games. 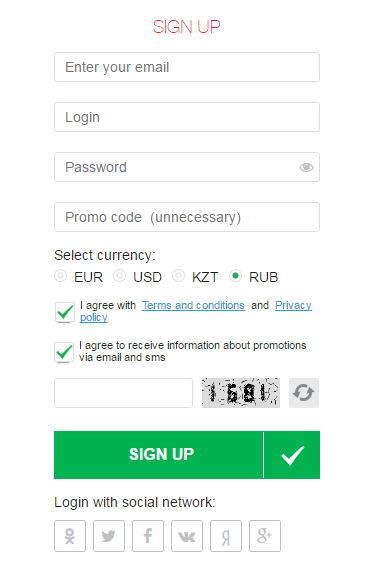 Log into your Pokerdom account. Submit your Pokerdom Username here while being logged in at Pokerdom!